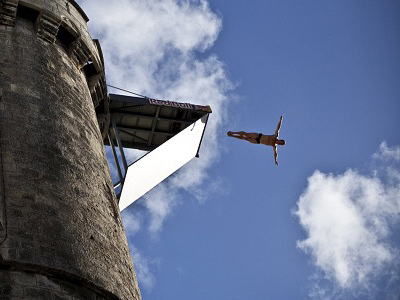 Britain's Gary Hunt has won the latest round of the Cliff Diving World Series in Boston to claim the overall title, while Russian Artyom Silchenko took the runner-up spot. As there are no actual cliffs in Boston, a board was attached to the city’s Contemporary Arts Building, which is 80 meters above the waterfront. The competition offered Hunt a chance to successfully defend his World Series title, as victory at the US venue would ensure he would once again be crowned world champion. And no one could match his spectacular dive, a one-and-a-half twisting quadruple somersault. It was the fourth victory of the season for Hunt, while Russia’s Silchenko finished runner-up for the fourth time. He is set to finish second in the season's overall standings. 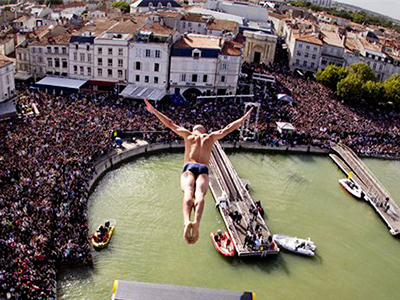 However, he does have one last chance of winning a stage at the final dive of the year in Ukraine, in two weeks' time.